After suffering from significant hydrogen sulfide corrosion, the MSB 7019-B Interceptor in Victoria, Minnesota, needed major rehabilitation. TKDA provided engineering services to complete the rehabilitation, including CIPP lining 10,600 feet of 30 and 33-inch reinforced concrete pipe. With segments of the pipe alignment through wetlands adjacent to two sensitive lakes, the project required special environmental consideration. TKDA treated manholes with a centrifugally-cast cementitious liner and reconstructed when necessary. To moderate flow from the upstream 2,250 gpm lift station, TKDA used a portable 20,000-gallon surge basin at the upstream end of the temporary conveyance system. 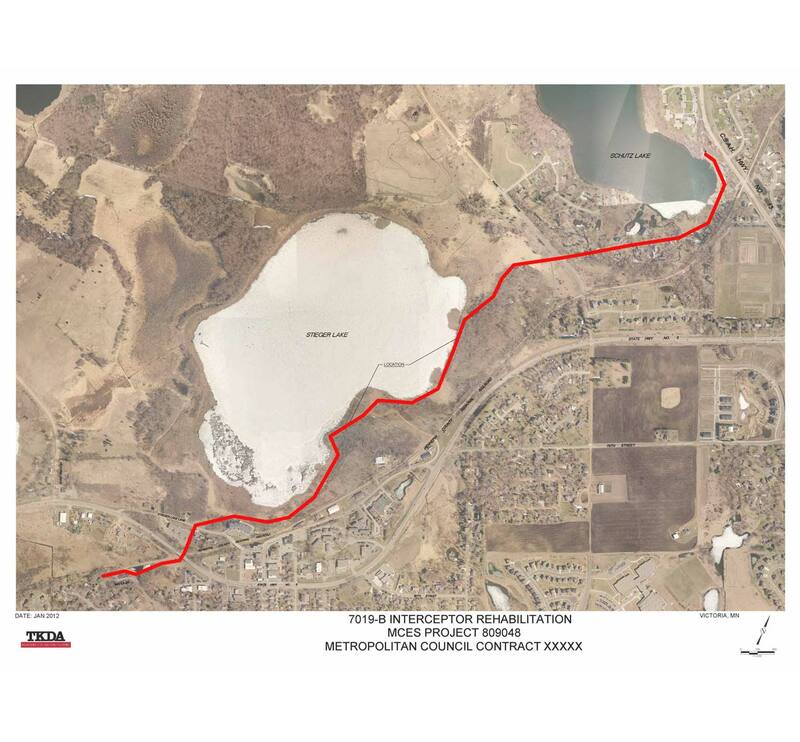 Extensive coordination was required with Three Rivers Parks Reserve District, Minnehaha Creek Watershed District, Minnesota Department of Transportation, Hennepin County Regional Rail Authority, and City of Victoria.